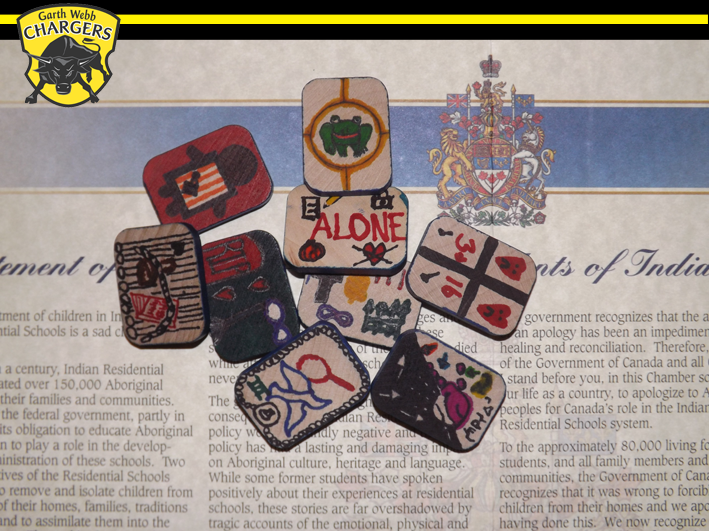 The Project of Heart reconciliation module is not just about schools — workplaces can partner with POH too, and recently the Public Heath Agency of Canada (Ontario) did just that. The experience was carefully documented by PHAC’s Ronda Evans in an amazing series of dedicated blog posts she has shared with us here. 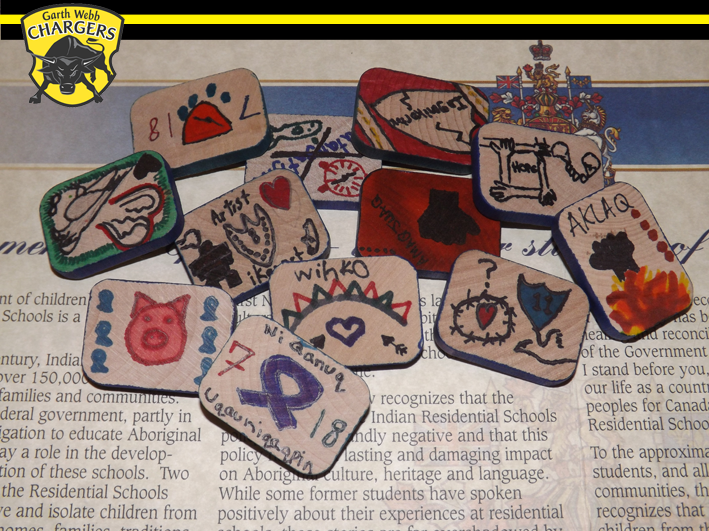 At Garth Webb Secondary School in Oakville, Ontario, every Grade 10 student participated in the Project of Heart this year. 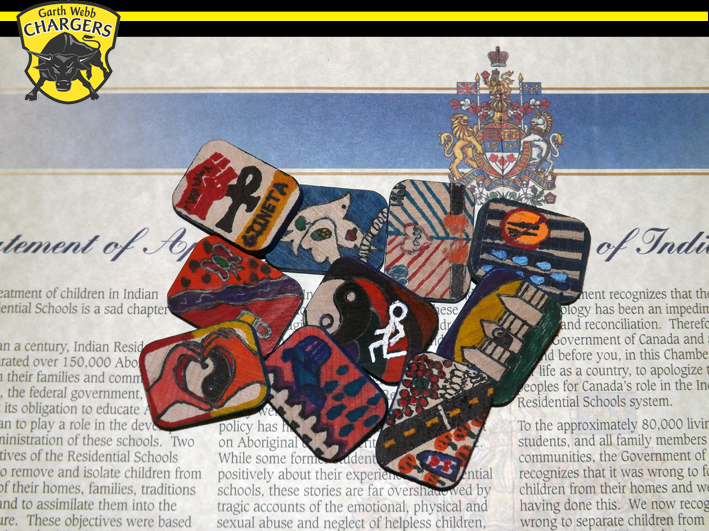 Named after a D-Day veteran, Garth Webb Secondary School embraces a culture of active remembrance and respect for all Canadians. 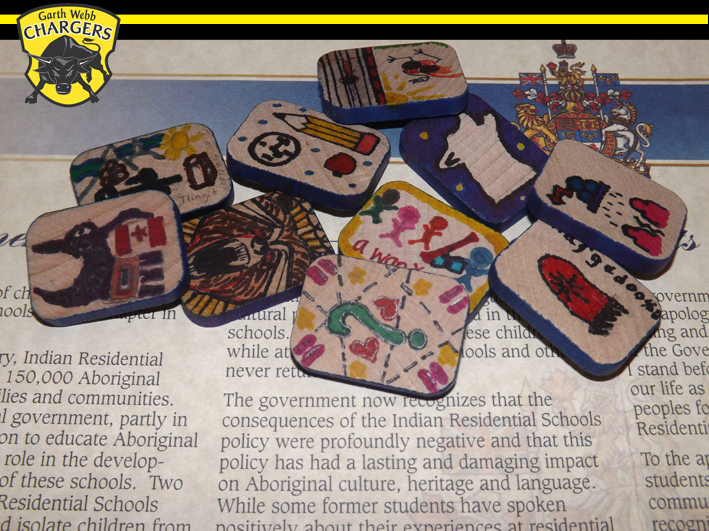 The students created their tiles with a specific survivor in mind, after reading first-hand accounts of experiences in residential schools. 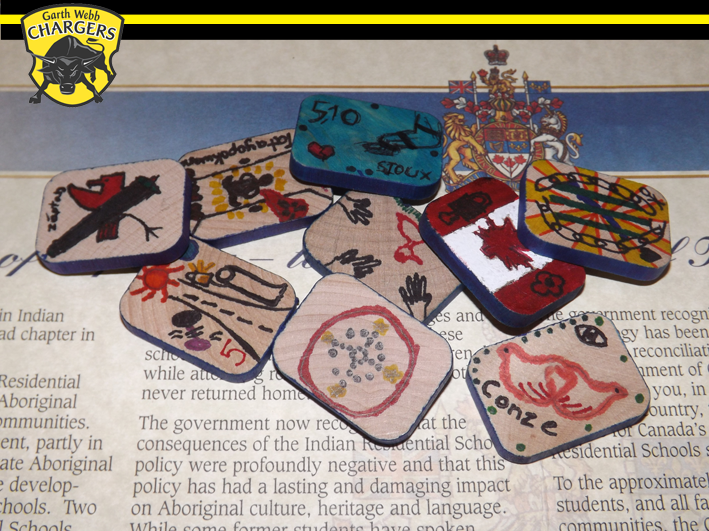 This experience was made even more powerful by hearing IRS survivor Geronimo Henry speak about his life during his years at Mohawk School in Brantford, ON. 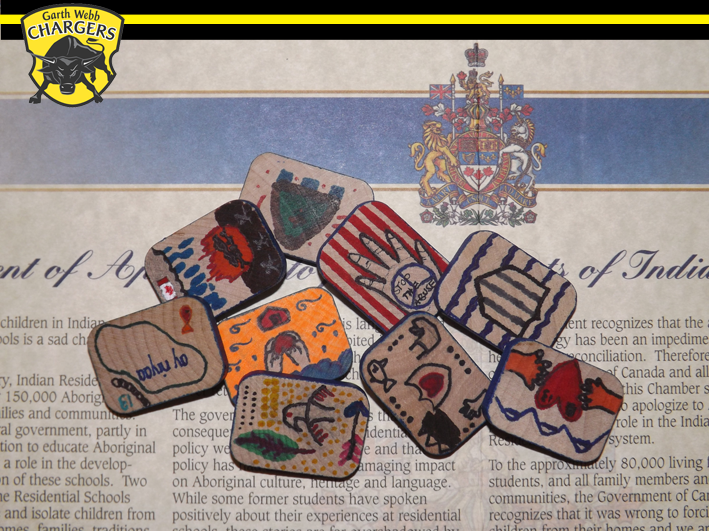 For many students, this was their first exposure to the IRS legacy in Canada, and has sparked an interest and appreciation for the issues facing Aboriginal people today.